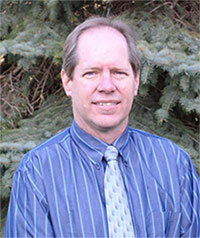 As medical director and owner of Concord Foot and Ankle Clinic, Dr. Timothy Quist leads a talented staff. Dr. Quist believes that anytime you have a problem with your feet or ankles, you deserve a friendly doctor and staff who carefully listen to you and care about your health. He is committed to ensuring that patients who put their trust in his podiatric practice receive the finest care available anywhere. Timothy Quist, DPM completed his undergraduate studies at Brigham Young University with emphasis in physical education and Pre-Med. He then took his talents to the California College of Podiatric Medicine in San Francisco, graduating with a Doctorate of Podiatric Medicine. He did his residency training at Pacific Coast Hospital in San Francisco, California, where he received further training in all aspects of podiatric medicine and surgery. Dr. Quist's devotion to his practice has not gone unnoticed by other professionals in the podiatry field. He is an Associate of the American Board of Lower Extremity Surgery. He is also a member of the American Podiatric Medical Association and the Indiana Podiatric Medical Association. Following the completion of his residency in San Francisco, Dr. Quist opened a private practice in Vacaville and Fairfield, California, where he practiced for 11 years. He has practiced in Elkhart for 8 years, and since 2008 has had a second office in LaGrange, Indiana. He is actively involved with several community service organizations including the Boy Scouts of America as well as volunteer work with a local high school marching band. Dr. Quist is originally from Mission Viejo, California. Dr. Quist is on staff at Elkhart General Hospital, Goshen General Hospital, and RiverPointe Surgery Center in Elkhart, Indiana. He also sees patients at the Goshen Center for Wound Healing.